If you’ve got excess waste or specialist items which you need to dispose of then we are guaranteed to be able to help. Go Rubbish Go has the facility to dispose of all sorts of residential and commercial waste in a safe and efficient manner. So if you have everyday junk, waste, builders rubble, white goods or electrical items which you need to get rid of, ask our customer services team for a quick quote now! Our NW2 rubbish clearance team can give you a free and no obligations quote ASAP. If you have any specialist requirements then don’t be afraid to ask, we pride ourselves on offering a comprehensive rubbish disposal Cricklewood service throughout the NW2 area. If you want to hire one of our competitive NW2 rubbish removal Cricklewood services but don’t really know where to start, pick up the phone and dial 020 8610 9182 now. Our customer services team are knowledgeable about all of our Cricklewood waste clearance services and will always be happy to offer you free and impartial advice any day of the week. So if you have furniture, junk or everyday waste which you need to get collected, get one of our incredible deals before it’s too late! Our special offers can save you heaps of money and are ideal for anyone in the NW2 area. With the help of our advisors, you can get an unbelievably good deal before they’re gone! So don’t wait around, ask our customer services team for a little bit of help now! We believe that each and every one of us has a moral obligation to look after the environment and that is why we have made it our goal to recycle everything that we possibly can. However, this doesn’t mean that you have to spend any extra time separating your plastics from your paper, as our expert Cricklewood, NW2 rubbish removal team are on hand to do this for you. 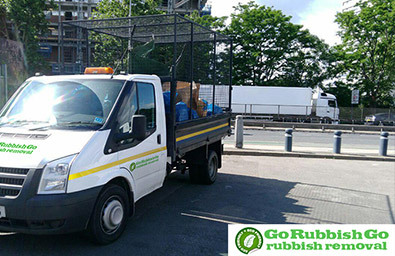 With an extensive team of fully-trained workers and state of the art equipment, we at Go Rubbish Go can manage all of your recycling so that you don’t have to! So if you want to do your bit for the local NW2 environment but don’t have the time, you can rest assured that our waste disposal NW2 company will do it for you instead! 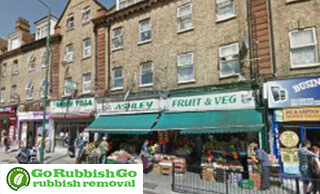 Just wanted to thank Go Rubbish Go for their quick response and the great work they did at my house in NW2. Booked their rubbish removal services in Cricklewood for my garage and basement and they came on the very next day and did a terrific job. Much obliged! Can We Help With urgent Waste Collections in NW2? Our firm has a dedicated team of commercial Cricklewood waste removal NW2 experts and prides itself on offering flexible solutions to your business problems. With regular services and one-off NW2 waste collection services, we can help you with all of your accumulated and day-to-day commercial waste. So if you’re looking for a competitive alternative to expensive council rubbish services, ask our professional team for a free and no obligations quote. Our customer services team will be happy to provide you with an exclusive quote that is tailored to meet your specific business needs. We can come to you at short notice, so what are you waiting for? Book now on 020 8610 9182 and see for yourself! Can We Simplify Your Cricklewood Rubbish Disposal Problems? We know that recycling waste in NW2 can be a difficult process. With so many different rules to follow and different bags to use it can get confusing. But when you hire our NW2 rubbish removal Cricklewood services this no longer needs to be a problem as our experts will take care of all of rubbish recycling for you. All you need to do is put your waste in one area ready for us to collect and our waste disposal Cricklewood team will take care of the rest. 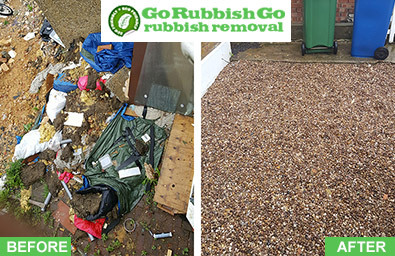 So if you’re sick of dealing with all sorts of different garbage rules, call our team on 020 8610 9182 now! What is there to see in Cricklewood? Cricklewood is an area located in North West London. It is split between three of the London boroughs – Camden, Brent and Barnet. It used to be a small rural hamlet in the past until the urbanisation made a significant impact. Nowadays you can see lots of bustling shops on Cricklewood Broadway, as well as a wide variety of Victorian and Edwardian housing. One of the most famous local landmarks is the Crown Pub which is now known as the Crown Moran Hotel. Another great place to visit while in the area is the Gladstone Park which marks the north-western edge of the area. Cricklewood railway station and Farringdon Station serve the area.